We all will leave a legacy of sorts – either a positive one or a negative one. Our lives eventually will come to an end, and each of us will leave a legacy. The truth will come out – the good things we did, the bad things we did, what we really stood for. We may live long, productive lives and, like Caleb of the Old Testament, be able to look back after 85 years and say that we finished well. Notice an important phrase: “You wholeheartedly followed the Lord my God.” It simply means that Caleb wasn’t a halfhearted person. I think we have a lot of halfhearted people filling the pews of churches today. They want to give the bare minimum to the One who gave everything for them. If you try to live as a Christian but live as you please, you will find conflict. Some people have too much of the Lord to be happy in this world, and too much of this world to be happy in the Lord. They’re living in a miserable no-man’s-land. I became a Christian at the age of 17. I had been out in the world for 17 years, and I think I had more than my share of it. I was raised in an alcoholic home where my mom was married and divorced seven times. For a time I got into drinking and partying. It was all I had ever known up to that point in my life. 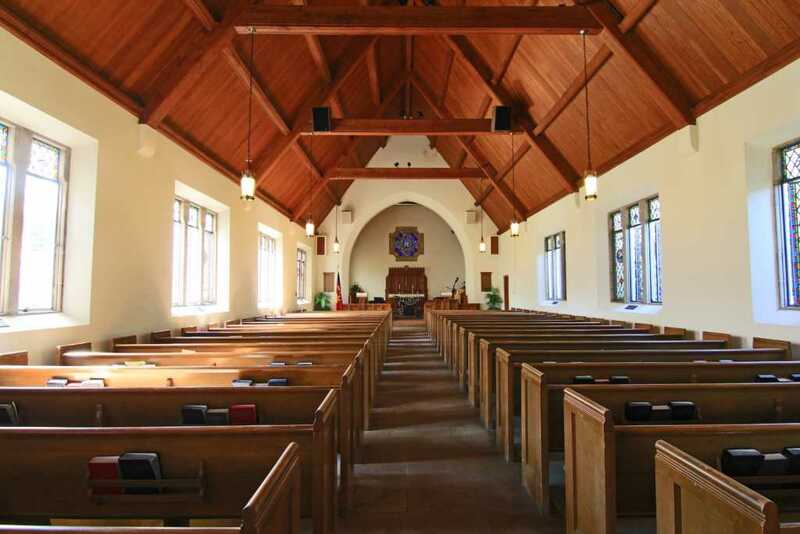 I had never gone to church to speak of, except for a while when I lived with my grandparents. I knew nothing of the things of God. I had been raised in this world, and I saw it for what it was. Even at 17, I was already sick of the way my life was going. I was in search mode, convinced there had to be more than this. I was disillusioned by the adult world I saw. I realized they didn’t have the answers. And I didn’t like the way my generation was going and what we were chasing after. I knew we didn’t have the answers, either. Then I heard the Gospel. I heard about Jesus Christ, who calls us to follow him. I responded and gave my heart to the Lord. I started going to a Bible study where I met some halfhearted Christians who wanted to play with the world and still be Christians. That made no sense to me. I had been there and done that. I knew how empty and futile it was. I couldn’t imagine how anyone could know the forgiveness of God and still want to dabble with this world. I thought, “Why bother?” I’d had enough of it to get my fill. I hope you don’t have to learn this the hard way. You can take God’s word for it. He tells you to stay away from certain things for your own good. Or you can say, “What does God know? What does anyone else know? I’ll do it my way.” And then you can face the consequences of that decision. Caleb referred to an important place: Kadesh-barnea. This may not mean a lot to us, but it’s a key point in Caleb’s story. Forty-five years earlier, Caleb, Moses and Joshua, along with the children of Israel, came to the edge of the Promised Land. The point of entry was Kadesh-barnea. They had quickly made the trek from Egypt and were poised to enter the land. It doesn’t take 40 years to get there from Egypt, however. They were going in circles. Why did it take them so long? Here’s why: When they arrived at Kadesh-barnea, they decided to send in some spies. They chose 12 men to go in, see what was going on, and then return with their report. They probably should have just gone into Canaan and believed the Lord. He had promised He would watch out for them and bless them and get them through. But instead they sent in spies. Caleb and Joshua, however, returned with a minority report. They brought back a cluster of grapes so large that it took the two of them to carry it. The people were angry with Joshua and Caleb for daring to suggest they continue into the land. They actually wanted to kill them. If you want to finish well and wholeheartedly follow God, then you won’t compromise but instead stand your ground. You will be more concerned with the approval of God than the approval of people. It would have been so easy for Caleb and Joshua to go along with the crowd. Everyone was saying it, but they knew it was wrong. They stood their ground at the risk of being personally ostracized and losing their friends – and even their lives. Think of how many people today are held back spiritually because they are so concerned with the opinions of others. Don’t lead a half-hearted life. Make sure that every day counts. You don’t want to waste a single moment.